Ever seen these amazing plants in Cornwall and wondered what they were? 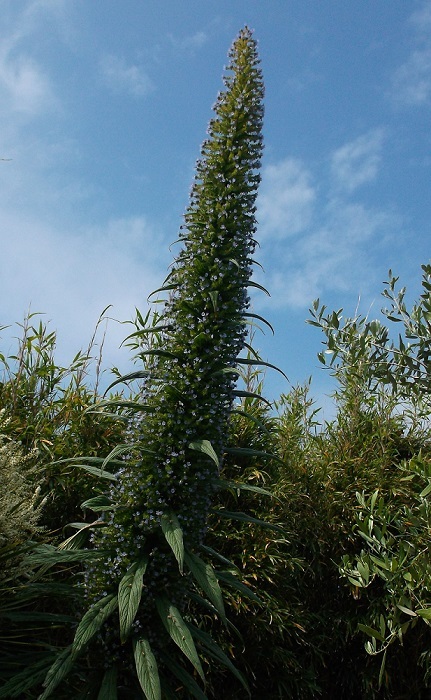 They are Tree Echiums or Echium Blue Steeple and they grow flower spikes up to 4m tall! 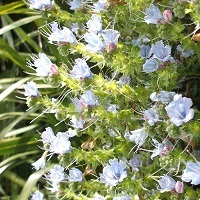 Tree Echiums come from the Canary Islands and have made themselves at home in Cornwall and the Isles of Scilly. They are quite tender, but will survive a mild frost and can be seen around the coastal areas of the Roseland Peninsula and Tresco Island in particular. They are stunning to see in real life and are worth a visit in early summer (May/June) to see in flower. 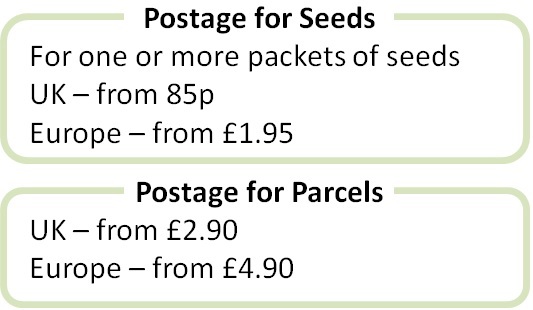 However, the cold winter of 2017/18 has frosted off many of these beautiful plants so now is a good time to start more from seed to ensure we have these lovely flowers next year. 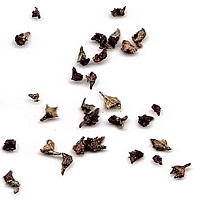 Each plant grows from seed in spring and early summer into a low growing rosette of hairy leaves. The rosette overwinters and sends up a 4m tall flower spike the following summer. Each spike is made up of masses of small blue flowers that attract lots of pollinators. After flowering the plants die and scatter their seed, creating impressive clusters of plants in the years that follow. It is best to grow these plants outside in warmer parts of the UK or in Mediterranean gardens. However, I have seen these plants thriving along a sheltered wall of the Chelsea Physic Garden in London and masses outside the cafe at the Ventnor Botanic Gardens in the Isle of Wight. As Tree Echiums grow into a manageable rosette of leaves in winter, if you have somewhere to shelter them in large pots over winter, such as a greenhouse or polytunnel, you can grow them in just about any sheltered garden. 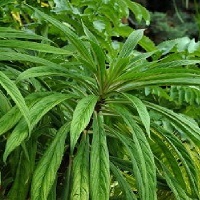 More on buying and growing Tree Echiums.